Singapore City is home to the British Embassy in Singapore. The embassy is close to the US Embassy in Singapore and also close to the Thai Embassy in Singapore and the Canadian Embassy in Singapore. The British embassy currently deals with 11,000 visitors a year so ensure that you have all the needed documents before you arrive at the embassy. They are very busy so be prompt and bring all needed documents. If you are married to a British national you can apply for a marriage visa or spouse visa. If you are engaged to be married or living together then you can apply for a fiancee visa or even a partner visa. Speak to the embassy for more details. You can also renew your passport or apply for a new British passport at the embassy. 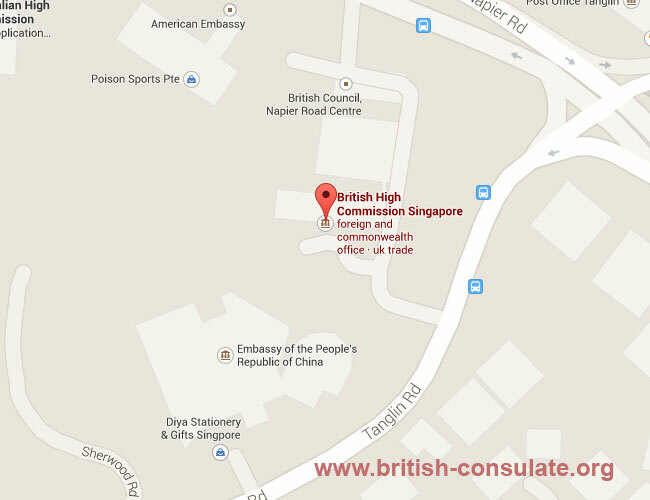 The details of the British Embassy in Singapore is listed below. Note that the British High Commission in Singapore is around the corner from the US Embassy in Singapore if you get lost with the taxi. From 10 December 2013, the application process will be centralised and British nationals in Singapore should submit their passport application to Her Majesty’s Passport Office in the UK. All the information required to make an application can be found at https://www.gov.uk/overseas-passports. Applicants will be required to send their applications to the Passport Customer Service Centre in Liverpool. There will be no change to processing times.